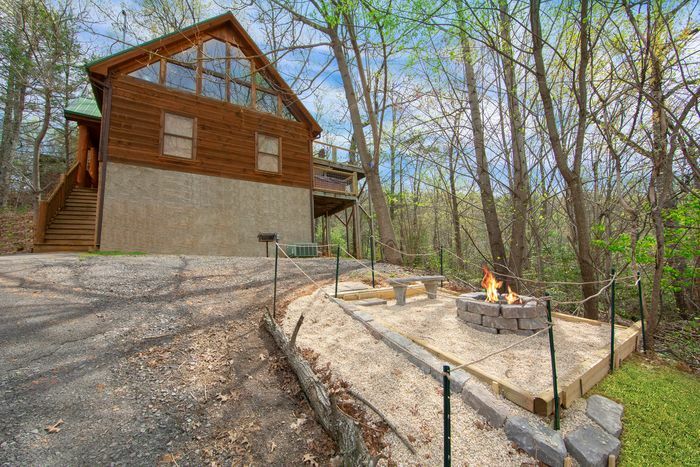 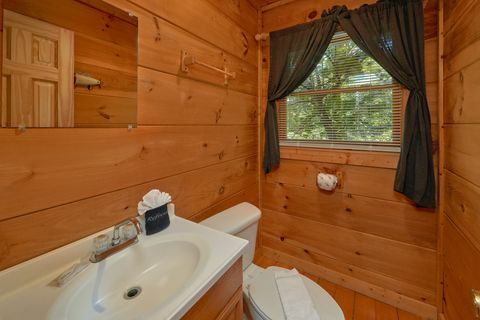 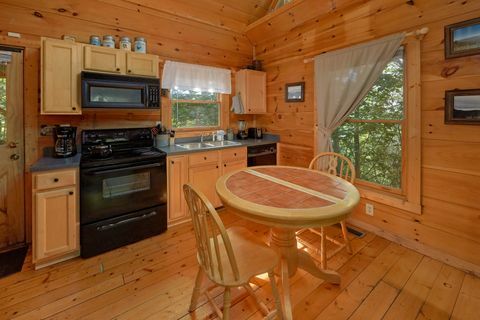 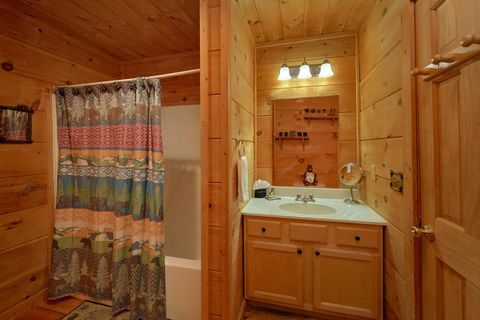 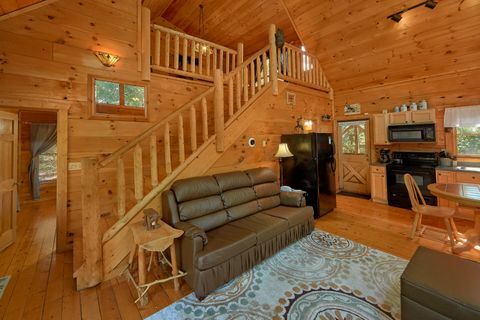 Discover "Huggable Hideaway," your anniversary cabin in Gatlinburg! 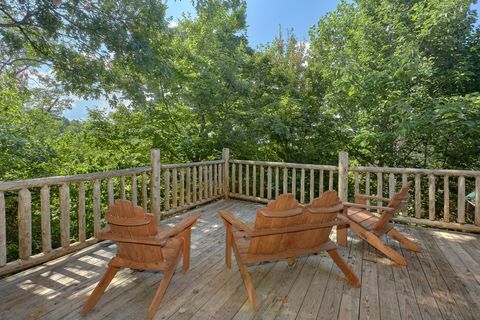 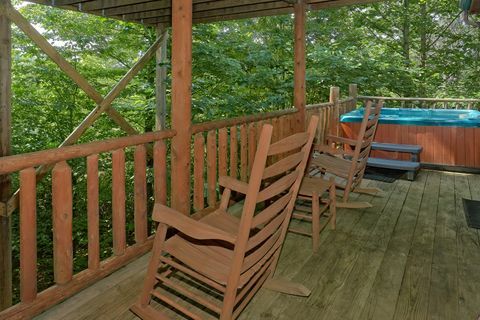 This gorgeous, 1-bedroom anniversary cabin in Tennessee features grand mountain views and rests between Gatlinburg and Pigeon Forge, placing you near all the attractions of the Smokies! 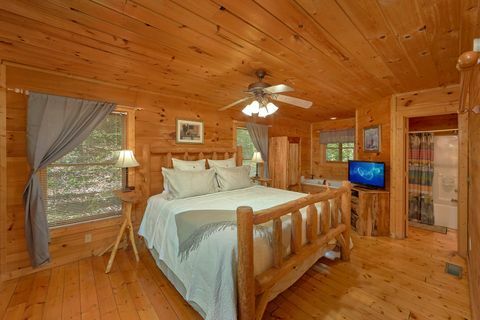 Your anniversary cabin in Gatlinburg provides the perfect setting to share romantic times together. 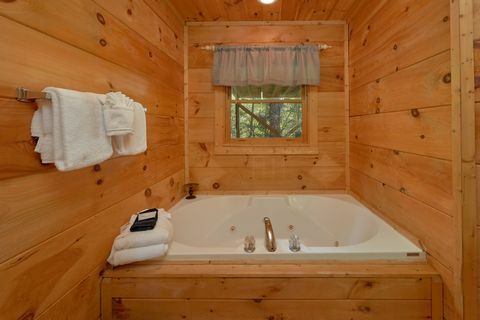 The master suite boasts a king-size log bed, television, full bath, and jacuzzi tub for the perfect romantic! 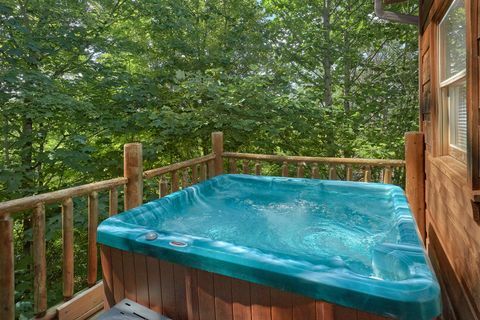 Take in romantic Smoky Mountain sunsets from your hot tub as you peer out over the neighboring mountains. 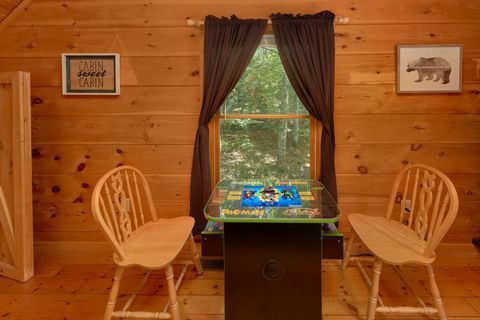 After dark, share a few games of pool or arcade games on the sit-down multi-cade game in the game room or curl up in front of a roaring fire in the living room to for a romantic movie night, complete with popcorn from your fully-equipped kitchen. 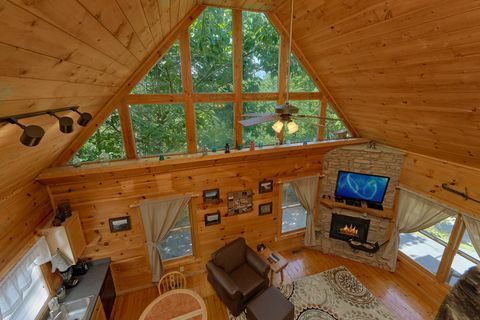 Stay in touch with friends and family back home with this cabin's WiFi Internet! Outside, you can enjoy spending time around your cabin's large fire pit area, where you can roast marshmallows under the stars with friends and family. 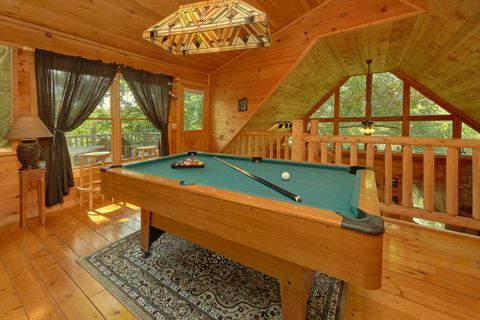 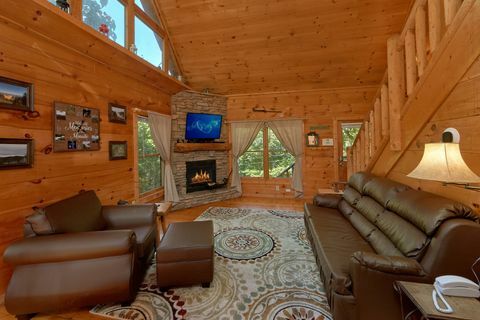 "Huggable Hideaway " offers a great anniversary cabin in Gatlinburg for couples looking to escape to the mountains and remain close to shopping, dining, amusements, and live entertainment in the Smokies. 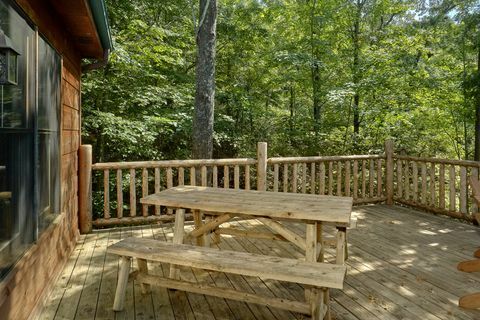 Start making new memories today by booking this or another one of our anniversary cabins in Tennessee online and getting an immediate ONLINE SAVINGS!